The Rev. Al Sharptontold NBC New York that Garner died of natural causes Saturday morning at Woodhull Hospital while surrounded by her family. "Sometimes [people think] he had a heart attack ... It's a shame because I know what happened on that video," Garner told NBCBLKin March 2015. Garner became on outspoken critic of de Blasio, as well as the Democratic establishment. Shortly after confirming her death, Garner's official Twitter accountlashed out at the mayor, demanding that he "explain how she died with no justice." It also asked that "out of respect to Erica please do not request comment if the journalist is not Black." "This city will miss her unshakable sense of justice and passion for humanity," hetweeted. 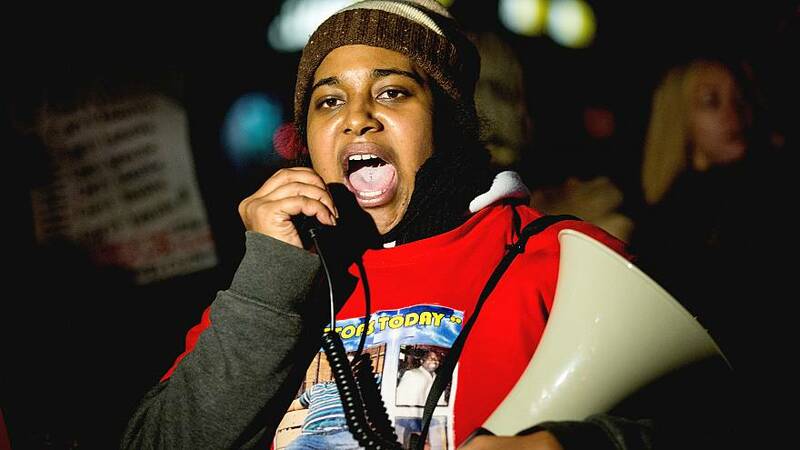 Erica Garner was also apublic supporter of Vermont Sen. Bernie Sanders in the 2016 presidential election. Sanders on Saturday posted a series of tweets memorializing Garner and her fight for equality.